Type: Industrial and Office | NRA: 126,000 sq.ft. 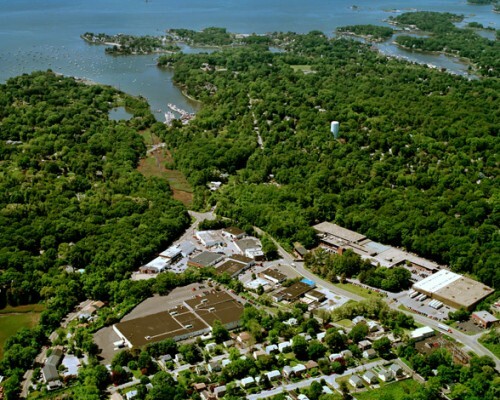 Baywater Business Park, conveniently located between Rowayton and South Norwalk, is comprised of seven industrial and office buildings totaling over 126,000 square feet. It is located at the gateway to Norwalk’s premier industrial corridor, Martin Luther King Boulevard. Tenants of Baywater Business Park enjoy convenient access to I-95, the South Norwalk MetroNorth train station, a number of Norwalk bus lines, and the village of Rowayton. Amenities of the Business Park include ample onsite parking and dock high and grade level loading. Baywater Business Park is also home to a recently opened artist’s loft, where the work of several well-known local artists is both created and displayed.